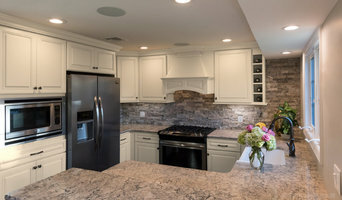 Specializing in the design of Kitchens, Bathrooms and Interiors, Cranbury Design Center offers many services to support remodeling of the home and office environments. Known for our experience and expertise in the industry, and personalized dedication to each project, we strive to surpass our client’s expectations. 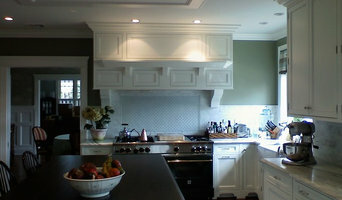 Cambridge Kitchens Mfg. is the leading manufacturer and distributor of premium lifestyle products for your home. For more than 20 years we have been catering to a range of homes in the entire tri-state area, from average residence to luxury estates. With your vision and dream combined with our creative and dedicated team, we can utilize your spaces in the most effective manner and come up with intricate and luxurious designs that you can be proud of. Cambridge Kitchens Mfg. 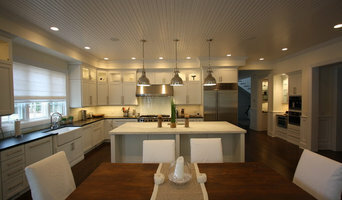 proudly presents to you the finest cabinetry, both designed and manufactured right here on Long Island. Our strength lies within turning a simple idea into a work of enduring beauty by combining both traditional and non traditional methods, we are able to balance aesthetics together with cost effectiveness and functionality. With a dedicated and skillful team we strive to provide our customers with quality services along with competitive prices. Throughout the process, attention is given to every little detail. Your opinion matters here. Using advanced technology and the finest woodworking skills we are not only able to design and construct the kind of cabinetry you want but also install these custom made cabinets in your home. Our experts work directly with home owners, architects and designers and we’ll manufacture your kitchen within two to three weeks after the finalization of your design.